The Head Prime are high-level double yellow dot squash balls for advanced players and have been designed to provide a combination of excellent control and enhanced durability. These quality balls are suitable for professional competitions and come in a 1 dozen set. for submitting product information about Head Prime Squash Balls - 1 Dozen We aim to answer all questions within 2-3 days. 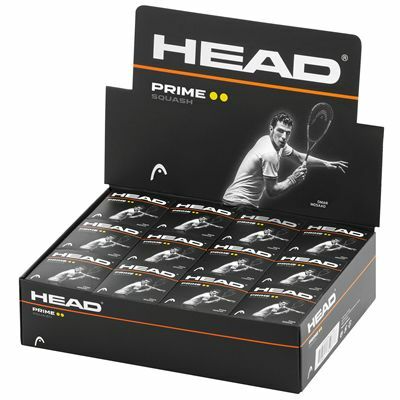 for submitting product information about Head Prime Squash Balls - 1 Dozen. We aim to answer all questions within 2-3 days. If you provided your name and email address, we will email you as soon as the answer is published. Fast delivery, good price and I really like the Head brand double yellow - seem to have a little more bounce than Dunlop double yellows (but less than Dunlop single), which suits me perfectly! for submitting product review about Head Prime Squash Balls - 1 Dozen.